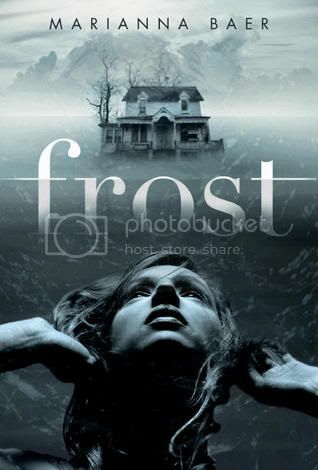 I was really looking forward to reading Frost. The cover for the book is amazing, and when I read the synopsis, I knew I had to read the book. The book was really different from a lot of what I have read so far, and I found it to be quite an interesting read. The main character in the book is Leena. It’s Leena’s senior year, and all she wants to do is live in Frost House, and focus on her last year at the boarding school, which she’s attended since freshman year. I found Leena’s character at the beginning of the book to be very outgoing and caring. She loved to help other people, and seemed to have everything going for her. However, after moving into Frost House, getting a roommate that she didn’t want, and seeing weird things start to happen, we see Leena become a completely different person. We find that she has some major issues, and we find out exactly why she has these issues. There are quite a few secondary characters in the book. Leena’s roommate, Celeste, definitely had me guessing throughout the book. I didn’t know what was going on with that girl. Celeste and her brother, David, have a really close relationship, in a way it almost seemed too close. Leena also has two other friends that are roommates in the house with her, Viv and Abby. I really liked Viv, and I liked Abby at the beginning of the book, but not so much at the end. The storyline of the book is very eerie. At some points I was a little freaked out. The book is very quick paced; I flew through the book in very little time. I expected a little bit more of a climax at the end of the book, but thought it ended well enough. Overall, if you like creepy books, you’ll like this book. I thought it was a good book; it was quite a different read for me. I’m really looking forward to reading more books by this author in the future. This does sound spooky, but awesome. I bet my students would love it. Sounds great, I have this sitting in my pile from BEA and intend to get it read in time for the release. Your review has made me want to bump it up the pile a bit. This one sounds AWESOME!! Hadn't heard of it, so thank you for sharing! Will definitely have to check it out. Your blog is just stunning. <3 it. This sounds fantastic but I don't think I can do it. It sounds too scary for me. Fab-tastic review! I'm not quite sure if I'm going to read this! It just doesn't seem like a book I would read, though the cover is stunning! I'll think about it. Thanks for the awesome review! Awesome! I love creepy books. I'm definitely going to have to get this one when it comes out. Thanks for the review! This book sounds great! I am definitely adding it to my wishlist! Great review! I have this book for review. Your review the first I've read! This does sound good. I don't really care for creepy books. The synopsis didn't give me the creep factor vibe...it seems definitely ghostly. Hmmm...I'm intrigued now. I might be moving this one up my in tbr pile!